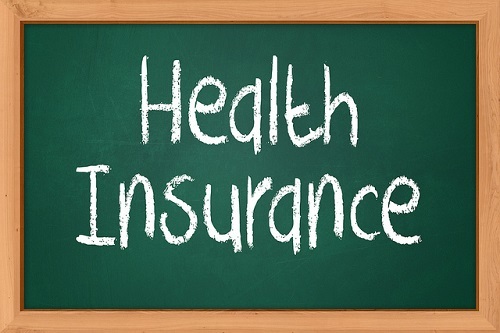 When you are new to health insurance, it might seem quite daunting to understand how much you should pay towards your health care expenses. In addition, it is difficult to decide when you should pay it or how much your health plan will cover. Health insurance co-payments and deductibles are two types of cost sharing. This means that they are two ways your health insurance company can split your health care costs with you. So, if they are both co-sharing method, what are the differences between them? These co-sharing methods differ by the amount of money you have to pay and the amount left for the health plan to pay for you. What is Health Care Insurance Deductible? For instance, if you have a health insurance plan of $2,000 deductible and suffer an injury that costs you a medical bill of $1,500, you will have to pay the full amount. This is because you have not completed paying the deductible. Once you pay that $1,500, there will be a balance of $500 on your annual deductible. If you suffer a second injury and incur a medical bill of $1,500, you will only be required to pay $500, and the insurance company will pay the rest of the payment in full. However, this does not necessarily mean that once you pay your deductible in full, the insurance company will cover your full medical payments onwards. You will still have to share the costs through a co-insurance or copay until you reach the out-of-pocket-limit. The deductible is the amount every patient has to pay out of their pocket including copay, deductibles, and coinsurance. What is Health Insurance Copay? Copay is the fixed amount of money you need to pay each time you visit a health care provider, like a doctor as well as for all prescriptions filled through the pharmacy. Copay allows the health insurance company to share the bills with you. The copay amount usually depends on the type of doctor you need to see. (Usually, specialists need higher copay than general practitioners do). It also depends on the types of medication you need to buy in terms of inexpensive generic medicines or branded expensive ones. It could also depend on whether you visit a doctor within your health insurance network. The primary thing you must keep in mind about copay is that it is a fixed amount and once you pay it, the health insurance company covers the rest of the bill. This means that if your copay is $30 and your total bill is as little as $100, as much as $1,000 or more, you will pay $30 and the company will pay the rest. You must understand that your copay never counts in meeting your deductible. However, it does count in meeting your out-of-the-pocket-limit for the year. This means you have to pay both your deductible and copay the health insurance company to cover you. 1. First, the deductible is a fixed amount you have to pay once a year. However, if you are on Medicare, then the deductible applies to every benefit period without necessarily going according to the calendar year. Once you clear your deductible, you will only pay it again next year. On the other hand, co-payments are ongoing. This means that you must pay every time you get health care services regardless of how many times you do in a year. The only way out of it is if you complete paying your out-of-pocket for the year. It is highly unlikely for most people to reach out-of-pocket maximum unless they have had very high health care expenses. 2. Second, the healthcare insurance does not pay your full medical bills until you pay your deductible in full. On the other hand, once you pay it, the health insurance company covers the rest of your medical bill. 3. A deductible is an amount you need to pay out of your pocket each year before the health insurance company starts to share the medical bills. Copay, however, is a fixed amount you must pay each time you visit the doctor or a pharmacy prescribes you medicine. 4. Health care insurance usually covers a patient on medical expenses, but in countries like the US, the cover is not 100%. The patient will need to pay a certain amount of money as a contribution. This is where you pay the deductible and the copay, even though they are different. The co-payments and deductible payments are both fixed, and this means that none of them will change regardless of the total of your healthcare costs. These two are very different from a third cost-sharing method known as co-insurance, where you owe a certain percentage of the amount and not a fixed amount. Once you sign up for your health insurance, you will know exactly how much deductible you will need to pay as well as the amount of copay you will be needed to pay each time you visit a certain doctor. If you get a deductible of $1,000 per year, then that is the amount you will pay whether the medical bill amounts to $1,000 or $100,000. If you are required to pat $50 copay for your doctor, then that is what you will pay regardless of the amount of money on the bill. Copay and deductible are similar in that you will not have to pay for some preventive health care services. This means that you can have preventive health services even when you have not paid your deductible. For such a visit, it is not mandatory to pay copay either. Of course, this might depend on what state you live in, but that is how it works in most. Georgina Nderitu. "The Differences between Copay and Deductible." DifferenceBetween.net. January 30, 2018 < http://www.differencebetween.net/miscellaneous/the-differences-between-copay-and-deductible/ >. Davis, RN Elizabeth. “Deductible vs. Copayment: What's the Difference?” Verywell, www.verywell.com/deductible-vs-copayment-whats-the-difference-1738550. “Difference between Insurance Deductible, Coinsurance, and Copay?” International Student Insurance Blog, 7 Aug. 2013, www.internationalstudentinsurance.com/blog/2011/06/whats-the-difference-between-insurance-deductible-coinsurance-and-copay-2.html. “What Is the Difference Between Coinsurance, Copay, Deductible?” Health EDeals, www.healthedeals.com/blog/what-is-the-difference-between-coinsurance-copay-deductible.